Let’s not beat about the bush. I really could not stand Patti Lupone’s performance as Norma Desmond in the original London production of Sunset Boulevard at the Adelphi Theatre in 1993. For reasons that it is difficult to explain, she seemed uncomfortable in the role and the songs seemed ill-suited to her voice (although, to be fair to her, she had the disadvantage of the two biggest having already been branded indelibly by La Streisand). Therefore, I looked enviously across the pond when Glenn Close, then at the peak of her film stardom, was cast for the Broadway production. Now, after a wait of more than 20 years, here is that lady herself, belting out “…I’ve been gone too long” to a packed opera house. Sunset is one of those shows that blurs the lines between musical theatre and opera; being almost entirely sung through, it is de facto an opera, but say that softly for fear of damaging its commercial appeal and say it loudly to give the composer an ego boost. Stephen Sondheim has received the accolade, so now it is the turn of Andrew Lloyd Webber. And why not? The show certainly has the melodrama of grand opera, although I’ll leave it to others to judge whether Lloyd Webber’s score matches up to Verdi or Puccini. The book by Christopher Hampton is an adaptation of Billy Wilder’s 1950 film and the lyricist is Don Black (doing quite well in St Martin’s Lane right now). Lonny Price’s production is “semi-staged”, which does the show no real harm – the staging of Craig Revel Horwood’s scaled-down non-starry revival at the (then) Comedy Theatre in 2008 could have been described as less than “semi” but I preferred it to Trevor Nunn’s overblown original. A full orchestra, conducted by Michael Reed is positioned centre stage, with the action taking place in front of and above them. The production, which has an ensemble of 14, is patchy and occasionally lacklustre, but the singing and the sound from the orchestra are superb. Fred Johanson, as Max the Butler and Siobhan Dillon as scriptwriter Betty stand out. In particular, Michael Xavier is superb in the show’s biggest (in terms of stage time) role, that of Joe Gillis, the down-and-out scriptwriter held captive in the mansion of faded silent movie star Norma. Gillis is the part that launched the career of Hugh Jackman and something similar for Xavier would not be undeserved. However, it is impossible to escape the fact that Sunset Boulevard is, above all else, a star vehicle and, when that star appears on stage, criticisms that the show is too gloomy melt away. We all know that Close is one of Hollywood’s greatest ever actors, but did we realise that she is such a great diva? Her descent of the staircase singing With One Look is one of those “am I really seeing and hearing this?” moments and none of the great ladies of opera can ever have filled this building with quite such a sound. Not only that, when the standing ovations come (there were three just for her at this performance), she does not shy away coyly, rather she stands front of stage, arms aloft and milks the applause and cheers for all they are worth. It is a joy and a privilege to behold! Norma Desmond had been a great star and she is played here by a great star, the only difference being that Glenn Close’s light is far from fading. In a wet December during which temperatures have seldom dropped below 10 degrees, there is a certain irony in having to step inside the Royal Albert Hall to be reminded of what Winters look and felt like traditionally. Snowflakes fall from the domed roof, landing on an ice rink that covers half of the arena space and a snowy Christmas card image is projected onto a large back screen. Performances of Tchaikovsky’s ballet in the familiar format abound at this time of year, but this slippery twist given to it by the Imperial Ice Stars needs to justify itself by enhancing the experience and taking it in new directions. The first big plus is being able to hear the wonderful music played in this great concert hall by the London Concert Orchestra, conducted by Tim A Duncan. Many of the themes in this piece have been reduced to instantly recognisable catchy tunes used in tv adverts and the like, but here all the subtleties in the thrilling score can be heard clearly and appreciated fully. The first half of the production disappoints slightly in that it resembles little more than a fast-moving ballet and does not fully explore the possibilities that skating offers. Inevitably, skaters find it more difficult than dancers to keep time with the music. However the second half takes wing, in many cases quite literally, with skaters being thrown through the air and even performing acrobatics from a trapeze. The finale is an exhilarating, head-dizzying extravaganza of movement and colour. Mariia Vygalova as Maria, Vladislav Lysoi as the Nutcracker Prince and Anastasiia Ivanova as the Sugar Plum Fairy lead a large company that skates with grace, remarkable athleticism and precision, choreographed by artistic director Tony Mercer. Elena Predvodeteleva’s imaginative costumes make a huge contribution to the colourful spectacle, with small armies of cats and evil mice adding to the fun. There can be few happier ways of getting the whole family out of the warm and into the cold this holiday season. I was privileged to see the 1987 production of Follies, which enjoyed a run of over 18 months at the Shaftesbury Theatre, and I have been longing for it to be revived ever since. If nothing else, this concert staging was a reality check, showing exactly why I have been disappointed for so long and why, faced with the economics of modern commercial theatre, a future revival is very unlikely. What producer will take a risk on a show with almost 20 solo singing roles, a large singing/dancing chorus and a score which requires a full orchestra? This early Stephen Sondheim (music and lyrics) musical, sandwiched between Company and A Little Night Music, is set in 1971, the year when it was first staged. A derelict New York theatre is about to be converted into a parking lot and the former impresario holds a cocktail party for the stars of his spectacular Follies revue from 30 years earlier – a cue for nostalgia and sentimentality by the bucket load and for a return to the golden era. The principal characters are two couples who re-ignite their tangled past relationships and come face to face with their younger selves. The older versions were played here by Christine Baranski and Alexander Hanson, Ruthie Henshall and Peter Polycarpou. British musical theatre fans are well familiar with the last three, who all did what we know they can superbly, but it was the divine Baranski who stole the show, delivering lines of withering sarcasm as if they were written for her and making us think that there is no other actor anywhere in the World who could ever play this role again. This is a show in which the songs overwhelm the book (written by James Goldman) to such an extent that the book gives up at the interval, thus making the usual criticism of concert stagings – that they diminish the impact of the drama or comedy – pretty irrelevant. This, plus the show’s fragmented nature, means that concert staging may even reveal Sondheim’s masterpiece in a better light. The production, directed by Craig Revel Horwood, made imaginative use of four moveable oblong “doorways” and had, as would be expected, plentiful dancing (choreography by Andrew Wright); if the dancers seemed slightly under-rehearsed, it mattered little because their musical numbers are all about spectacle. Behind them, the City of London Philharmonic Orchestra was conducted by Gareth Valentine. The large company included a variety of well-known names to suit different tastes (or not) and several who it was pleasant to discover are still alive. Performers such as Russell Watson and Anita Dobson have always been outside my personal radar, but the former nailed Beautiful Girls emphatically and the latter, singing and tap-dancing her way through Who’s That Woman with girlish glee, was an absolute knockout. Stefanie Powers donned the guise of a French madam and put her Hart into Ah Paris, Lorna Luft belted out Broadway Baby in a style that would have made her mother proud and Betty Buckley rattled the old Albert Hall’s foundations with the perennial showstopper I’m Still Here. Hanson and Henshall duetted beautifully on the haunting Too Many Mornings and the latter made Losing My Mind even more heartbreaking by reining in her trademark emotional anguish. Eventually, Baranski brought the house down, leading the chorus on The Ballad of Lucy and Jessie and finding time to conduct the orchestra as well as sit in the audience taking selfies. There were many, many more highlights contributing to an unforgettable occasion which, sadly, is not likely to be repeated any time soon. And the award for adaptability goes to…..Sweeney Todd. From traditional theatres to pubs and a pie shop, it is a show that pops up everywhere with increasing regularity – not bad when the original London production at Drury Lane flopped. This “semi staged” concert version, co-produced by English National Opera, originates from a New York Philharmonic production last year, endorsing the view held by many that this so called “musical” is in fact an opera and one of a pretty high standing. People are entitled to dislike it because of its excessive gore and over the top melodrama, but few can fail to be in awe of its astonishing virtuosity, its seamless fusion of book (Hugh Wheeler), lyrics and music (both Stephen Sondheim). The intention in giving a concert performance of a musical is, one assumes, to heighten the impact of the music, which can only be achieved by taking the emphasis away from the drama. Yet, in this case, the question must be asked as to why anyone would want to pick apart the different components of a work that is so perfect as a whole. It is a little like filleting a fish – plenty of tasty bites still to savour, but nothing left to hold it together. Director Lonny Price attempts an early denial of this being a concert performance by casting aside music stands and floral decorations and getting the singers to shed their evening attire to reveal period costumes. He also produces several imaginative flourishes throughout the evening, trying to show the staging as more than “semi”, but, for all that, a concert performance is what, in essence, his production remains. The ENO orchestra (conductor David Charles Abell) is centre stage in front of a backcloth onto which images, mostly graffiti, are projected and the performance takes place in front of and, on an elevated platform, amongst them. If absence of dramatic intensity and involvement in the story are the big losses of this staging, the wonderful sound made by a full orchestra and a near 30-strong chorus is the big plus, City on Fire being particularly thrilling. Sondheim’s incomparable score can seldom have been given so lush a treatment. Bryn Terfel has been singing the role of Sweeney for several years now, his rich bass-baritone voice suiting the music to perfection; vocally, his performance is definitive, but, dramatically, he is disappointingly lightweight, even amiable up to the grizzly finale. 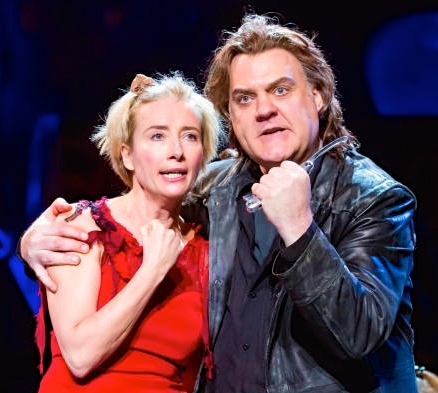 Emma Thompson follows in a long line of magnificent Mrs Lovetts and she milks the comedy as we all knew she would, but she also sings the part superbly, reminding us how great a loss to musical theatre her 30 year absence has been. Only Terfel comes from the world of opera. the other featured performers all being grounded in musicals, meaning that expectations for vocal interpretations that might be radically different from previous productions are thwarted. Matthew Seadon-Young, clean-cut and bespectacled, is a terrific Anthony; his serenading of Johanna, like Philip Quast’s harmonising with Terfel on the Pretty Women duet, is amongst several moments so blissful that they bring tears to the eyes. Katie Hall is an angelic Johanna, whilst Jack North, Rosalie Craig, Alex Gaumond and John Owen-Jones also deliver excellent performances. 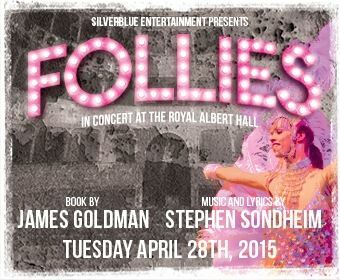 Reservations about concert stagings remain, but this production sets the bar pretty high for Sondheim’s Follies at the Royal Albert Hall towards the end of this month. As for Sweeney, for me it’s next stop the pie shop. The best way to describe this show is to quote from the accompanying notes: “A theatrical pop-song cycle of ‘musical postcards from the hotspots of memory’ from a semi-immortal polysexual sensualist’s life”. 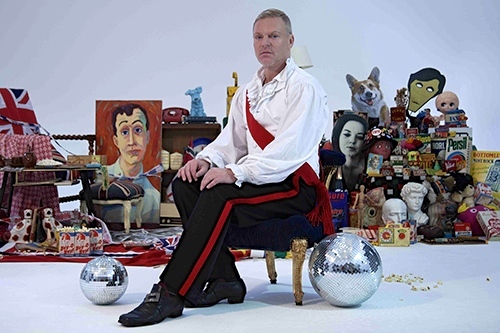 Devised and written by Barney Ashton with music composed by Christopher Frost, the cycle is performed by Andy Bell (half of the pop group Erasure), firstly in a dinner suit and later getting down to glittering underwear. Torsten is recalling his life in Britain of the 1970s and 80s, time spent in depressing places such as rainy seaside resorts and Bingo halls. Film footage from the period backs up the images created in the stark and vivid lyrics of the songs. Bell sings them with passion, accompanied by synthesiser and, occasionally, a saxophone. An hour listening to Bell is an hour well spent, but how we yearn for just a glimmer of joy in Torsten’s miserable life. Definitely not a show to be recommended to the suicidal. In late 2007, the National Theatre unveiled its show for the Christmas season of that year, a play adapted from a then little known children’s book. It was an unlikely production that asked us to imagine that puppets were real horses, but that production has now toured all around the World and is still playing in London’s West End. 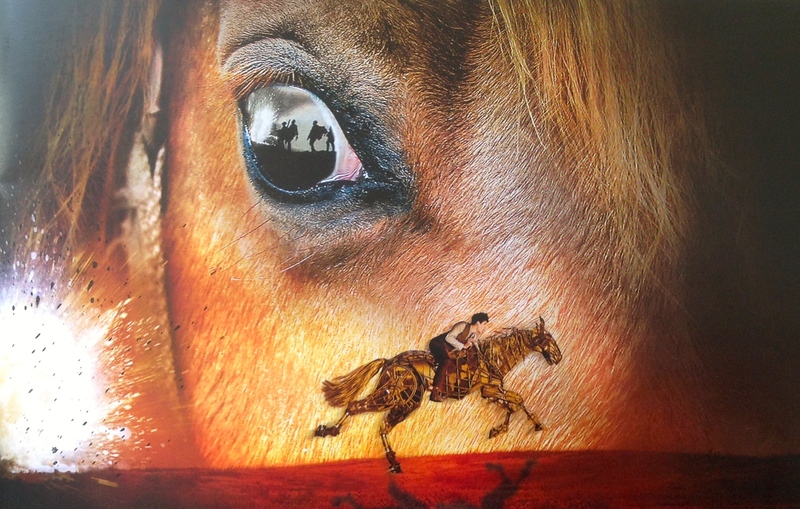 In the long-term, the story of War Horse may do more than anything else to connect new generations to the horrors of World War I, which makes it fitting that it should have been chosen as the centrepiece for this concert to mark the centenary of the commencement of British involvement in that conflict. The concert began with a traditional song and then the Military Wives Choir, reassembled for the Proms, massed onto the stage to perform pieces by Holst and Elgar, conducted by Gareth Malone. Then followed a performance of Adrian Sutton’s War Horse Suite, during which the solitary figure of Michael Morpurgo, writer of the original book, sat at a front corner of the stage, watching an enactment of the horse Joey’s birth, his deployment to war, the ravages inflicted upon him and his survival (after all these years, surely it is no longer a secret). The adult Joey emerged for the first time from the central Promenade area and he is now even more majestic and lifelike than I remember him – one of the greatest creations of theatre. Tributes were paid to the fighters, the fallen, the roles played by women in the War effort and, most poignantly, to those executed by their own Army, including conscientious objectors and sufferers from shell shock. The performance of a hymn written in 1914 by Sir Henry Wood, founder of the Proms, linked the concert more closely to its theme as it moved towards its climax, an audience singalong to It’s a Long Way to Tipperary. The music, sombre yet uplifting throughout the concert, was played beautifully by the BBC Concert Orchestra, conductor David Charles Abell. A memorable occasion.